The Sendai Framework calls for the development of risk information to support risk monitoring and disaster risk reduction at global, regional, national and local levels. One area of particular need is for open, transparent and credible multi-hazard risk assessment methods, models and tools. Not enough has been done to align risk assessment methodologies for the different perils that in some cases produce incomparable risk metrics. In addition, hazard interactions are in the majority of cases neglected, with the result in some cases of strongly underestimated risk in the most exposed areas. 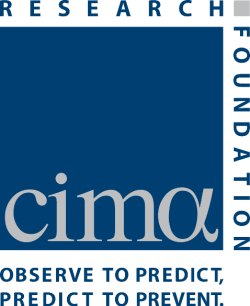 What are the needs of decision makers for improved risk information? What are the recent gains and barriers to making multi-hazard risk assessment models useful? What are the successes and concerns for current networks and initiatives in their efforts to developing sustainable collaboration and institutional capability to deliver resulting models, tools and information? Hazards that were included in the discussion were earthquake, flood, landslide, tsunami and volcano. 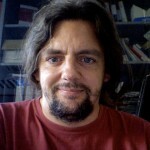 John received a PhD in geophysics from the University of Wisconsin (USA) and subsequently held positions in academia and private industry in the US: as research associate at Carnegie Institution for Science studying seismo-tectonics in South America; as manager of earthquake hazards at the Electric Power Research Institute; and as Chief Scientist for Aon-Impact Forecasting. John moved to Australia in 2000 to lead the development of a natural hazards risk assessment capability for the Australian government, addressing urban risk in Australia, and later on capacity building programs in partnership with developing countries in southeast Asia and the Pacific. In 2014, John established Schneider Geohazards Pty Ltd, specialising in natural hazard risk assessment and disaster risk management advice in Australia, the Asia-Pacific region and globally. He has been based in Italy since February 2016 to work with GEM. 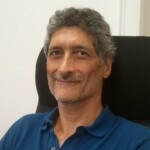 Mauro Dolce is Professor of Structural Engineering (1994-) at the University of Naples Federico II (2007-) and is Director General at the Italian Department of Civil Protection (DPC) (2006-), where he was Head of the seismic and volcanic risk office (2006-2012) and is now scientific consultant of the Chief of the Department (2012-). As the head of the Seismic and Volcanic Risk Office, he coordinated the Civil Protection monitoring, prevention and mitigation activities in the field of the seismic and volcanic risks. He coordinated the technical management in the emergency of the 06.04.09 M6.1 Abruzzi Earthquake and the 20-29.05.2012 M5.8 Emilia Earthquake. He has also been coordinating the Italian seismic structural prevention programs (art. 11 of Law 77/2010) and the relationships of DPC with the scientific competence centres for seismic risk. Research activities carried out in his academic involvement since 1978, have been mainly related to Earthquake Structural Engineering, as well as Seismic Vulnerability and Risk assessment, resulting in about 400 scientific papers, 12 books, 8 volumes (as editor) and 8 patents of antiseismic devices and systems. He has been member and convenor of several national and international committees for structural engineering standards. He was vice-president of the European Association of Earthquake Engineering (2010-2014) and is currently a member of its Executive Committee (2002-). He is the Italian delegate (2008-) and President of the Governing Board of GEM (Global Earthquake Model) Foundation (2015-). He led (2011-12) the international expert group on the “Rationale and Feasibility of a Global Risk Modelling Initiative” for the Global Science Forum of OECD (Organization for Economic Co-operation and Development). Melanie Duncan works in the volcanology team in the Edinburgh office of the British Geological Survey (BGS) – a Natural Environment Research Council Institute. Her research interest lies in the multi-hazard characteristics of volcanic environments, particularly cascading and interacting hazards. In 2014, she completed an EngD at University College London using a case study in the Philippines to determine a conceptual understanding of interrelated hazards and their assessment. She also applied social science methods to explore how non-governmental organisations (NGOs) assess multi-hazards and as authored a set of guidelines for NGOs on this topic. Since joining BGS, Melanie has been involved in a number of projects at the national, regional and global scale, in particular the science and funding objectives of the Global Volcano Model network. She is also developing research related to global volcano reporting and eruption impacts. She is currently involved in two multi-hazard partnership pilot projects – one at the UK scale and the other at the European scale. The projects are developing methods to identify multiple and interrelated hazards and their compounding impacts. Melanie has also worked as a disaster risk reduction consultant for the Catholic Agency for Overseas Development (CAFOD), GFDRR and UNISDR. 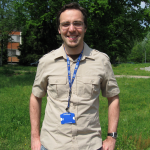 Stefano Lorito is a Research Scientist at Istituto Nazionale di Geofisica e Vulcanologia. He holds a Ph.D. in Geophysics. He deals with geophysical data inversion and source characterization of tsunamigenic earthquakes, with methods for probabilistic tsunami hazard analysis (PTHA), tsunami warning and forecast. He is responsible for Tsunami Hazard and Member of the INGV coordinating body for the Italian National Tsunami Warning Centre (It-NTWC), in the framework of the NEAMTWS, and of the agreement between INGV and DPC (Italian CPA). 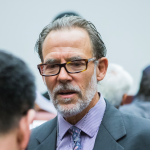 He is also Co-chair of ICG-NEAMTWS. Peter Salamon graduated as an M. Sc. in Applied Environmental Geoscience in 2001 at the Eberhard-Karls University in Tübingen (Germany). After working two years for an international environmental consulting company in Frankfurt (Germany) as a Project Manager, he started in 2003 his doctorate studies at the Polytechnic University of Valencia (Spain), where he received his Ph.D. in 2006. Since 2007 Peter is a scientific project manager at the Joint Research Centre of the European Commission where his main tasks are to provide policy support in the areas of disaster risk reduction and climate change adaptation at European and global level with a focus on floods. During his research activities and professional career he has gained experience in hydrology, numerical modeling, flood risk and hazard mapping as well as development of flood forecasting systems. He is the responsible project manager for the European and Global Flood Awareness Systems (EFAS & GloFAS) which form part of the Copernicus Emergency Management Service. 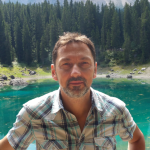 Filippo Catani is Associate Professor of Physical Geography and Engineering Geomorphology at the Department of Earth Sciences and Associate Chair for the UNESCO Chair on Geo-Hydrological Risks at the University of Florence (Italy). Since 2005 he is part of the Centre of Competence on Geological Risks of the Civil Protection Department at the Earth Sciences Department of the University of Florence. After graduating in Geology from the University of Florence, he received a post-graduate degree in Computer Sciences and a PhD in Engineering Geology (Politecnico of Milan, University of Padua and Ferrara). From 1998 to 1999 he has been visiting scientist at the Massachusetts Institute of Technology. He has attended the ISU’s Master of Space Studies programme at the SERTIT in Strasbourg. He participated to or co-coordinated several international RTD EC, ESA, ICL and national research projects on landslide and soil erosion hazard in FP6, FP7, H2020 and Italian Civil Protection Department. He is advisor and reviewer for EC LIFE research projects. He is author of more than 80 papers in international journals and more than 150 scientific publications as congress proceedings or book chapters. At present he is core member of the Joint Technical Committee JTC2 of ISSMGE, IAEG, ISRM on “Representation of Geo-Engineering Data in Electronic Form” and former Assistant to the President of the International Consortium on Landslides (ICL) from 2011 to 2014. He has recently been Member of the Board of Directors of the University of Florence (2008-2010), Member of the Directive Board of the Italian Association for Quaternary Studies (AIQUA) and Head of the Research Unit 2.61 of CNR-GNDCI. He is teacher of Landslide Prediction and Early Warning for IS-Geo course held by KIGAM (South Korea) since 2011. He is associate editor of the journal Landslides (Springer) and he has been guest editor of special issues for several journals including NHESS.